It is no secret that journalism's mission is seriously imperiled these days, but in Letters to a Young Journalist, Samuel G. Freedman shows that the craft is not only worth pursuing but more crucial than ever. Freedman draws on his 30-year career as an award-winning practitioner and professor of journalism to inspire students and seasoned professionals alike with wise guidance, penetrating insights, and astonishing anecdotes. 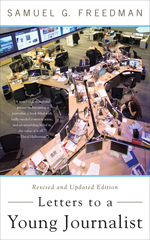 In this updated edition, Freedman also addresses the recent unprecedented transformations within the industry -- changes with which journalists at every level now have to contend. > Click to download the bibliography (Word document). 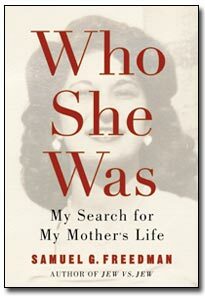 Won the Jewish Book Award for nonfiction from the Jewish Book Council. 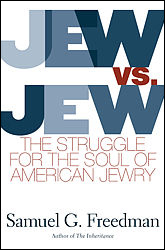 The judges said: "Jew vs. Jew is a thoughtful and beautifully written assessment of the precarious situation of Jewish identity in America today." "Jew vs. Jew" was named one of the top books of 2000 by The New York Times Book Review, Washington Post Book World and the Jerusalem Post. 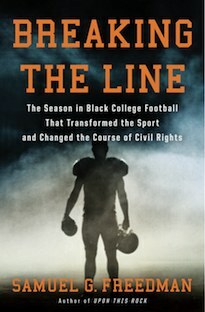 > Senator Joseph Lieberman says: "From Sam Freedmans eloquent and fair new book, there emerges a provocative picture of the Jewish community in America that has both flourished in the unprecedented freedom and acceptance this country has provided and been divided and diminished by that freedom."